From cruelty-free vampires to birds turning the tables on humans, these infamous horror flicks make serious vegan statements without necessarily trying. Ever since the misunderstood monster in Frankenstein proclaimed: “I do not destroy the lamb and the kid to glut my appetite; acorns and berries afford me sufficient nourishment,” there’s been a connection between veganism and the horror genre. This Halloween, why not curl up on the couch with a fantastic film that will satisfy your hunger for horror? VegNews has collected the best frightening films with accidental vegan messages. 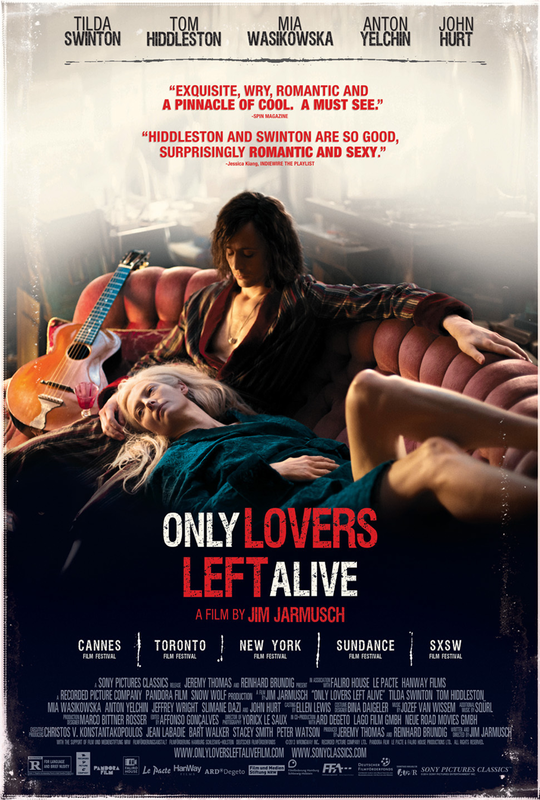 A contemporary movie about a married vampire couple, directed by Jim Jarmusch, Only Lovers Left Alive suggests that these undead humans have hearts (even if they don’t beat). Starring Tilda Swinton as the vampire wife, Eve, and Tom Hiddleston as her husband, Adam, throughout the movie we see these two seeking out blood to sustain themselves without hurting others. Unlike the animal-killing vampires in Twilight, this pair takes the cruelty-free route by securing bags of blood collected by doctors from willing humans. In fact, when Eve’s vampire sister comes to town and kills Adam’s friend for the sake of a snack, she is ousted from their home. 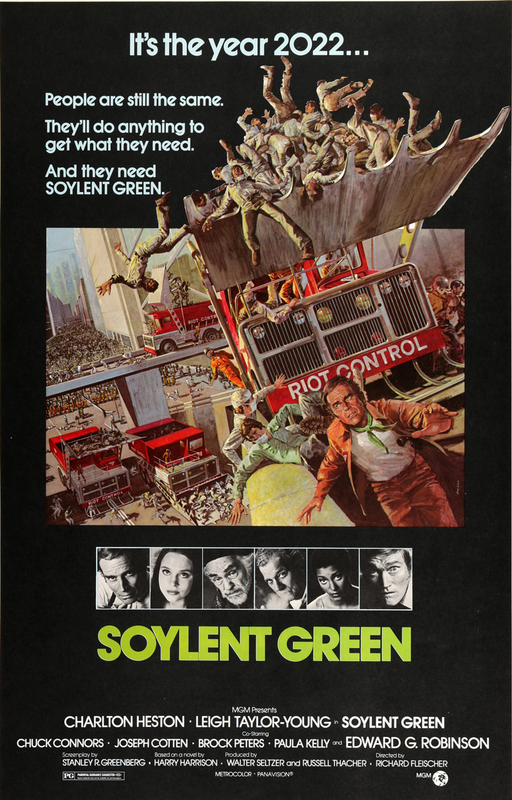 It is only at the very end of the film, desperate for blood to sustain themselves, that the two make the difficult decision to bite into human beings. However, in the final scene of the film, the two agree not to kill their humans, only to turn them into fellow vampires. Was celebrated director Alfred Hitchcock secretly an animal activist? 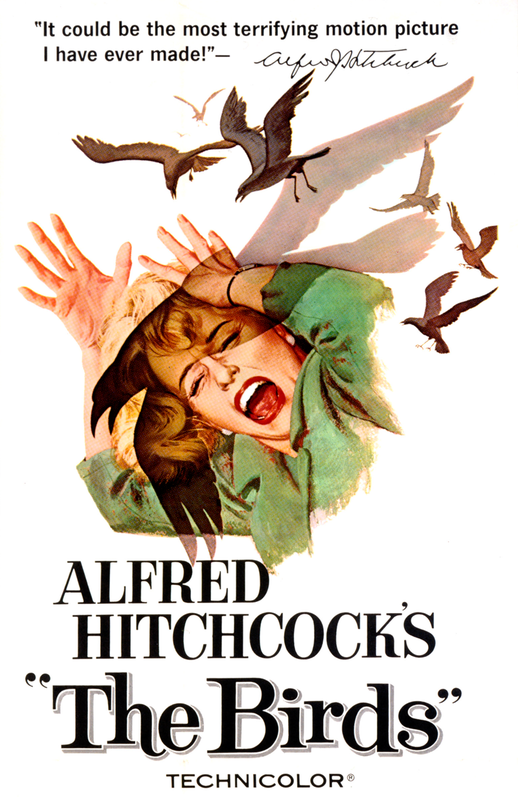 His 1963 classic The Birds makes it clear that we shouldn’t keep birds in cages. The film opens with the female lead, Melanie among all of the caged birds in a pet store. She meets a new hot friend, Mitch, in the shop, and then purchases a pair of lovebirds who she totes around in a cage while wearing a fur coat. She sneaks into the hot guy’s house to leave the birds, as a prank. It’s then that the birds come after her, with a gull pecking her head as she as she makes her escape. Soon, many birds come together, attacking the people of the town. A woman tells Melanie that this all started when she got there. Yeah. With the caged birds. Melanie has been playing games with the birds—but in the end, it’s the birds who trap Melanie. She and the hot guy’s family board themselves up in their house (kind of like a cage). In the end, they escape, but we bet Melanie won’t be using birds as pawns in her little games anymore. Run-down and graffiti-covered, the New York cityscape of the 1980s plays a major role in this horror flick that contemplates what the repercussions of gentrification are. It begins with a lavishly-living socialite couple, the Van Der Veers, losing their lives in a mysterious attack. Mr. Van Der Veer was a developer, placing modern buildings where there is now rubble. As it turns out, those run-down expanses of New York City are the habitat of wolves who were driven out of their natural homes by humans. Desperate to protect their new grounds, the wolves took on the developer himself, and his fur-wearing wife. 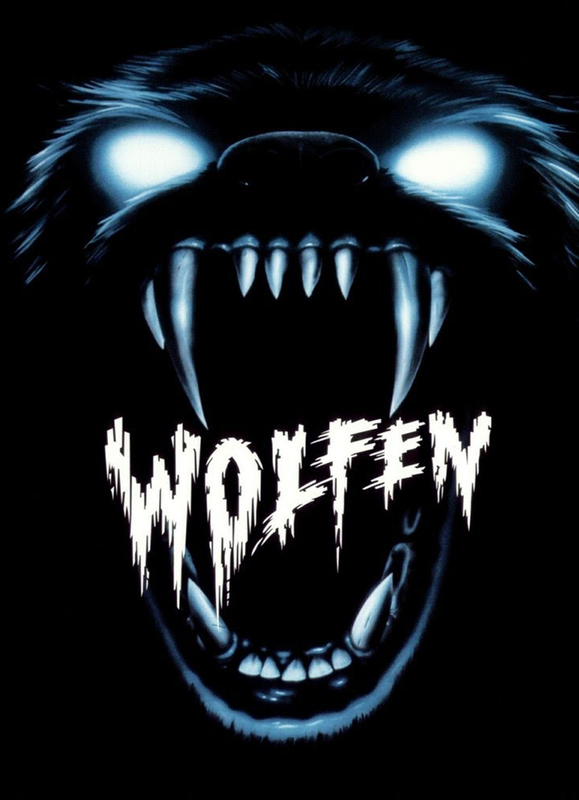 In a spellbinding scene at the end of the film, the detective on the case finds himself surrounded by the wolves in the Van Der Veer offices. Realizing why the wolves are there, he destroys a model of a development that is in the works. The wolves howl and disappear into the night, making it crystal clear that they only killed the Van Der Veers to protect themselves from humans who were threatening their habitat.